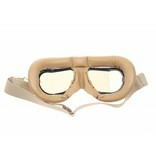 Has the characteristic angular glasses. Highly polished chrome plating over solid brass frames for the unique, classic look. 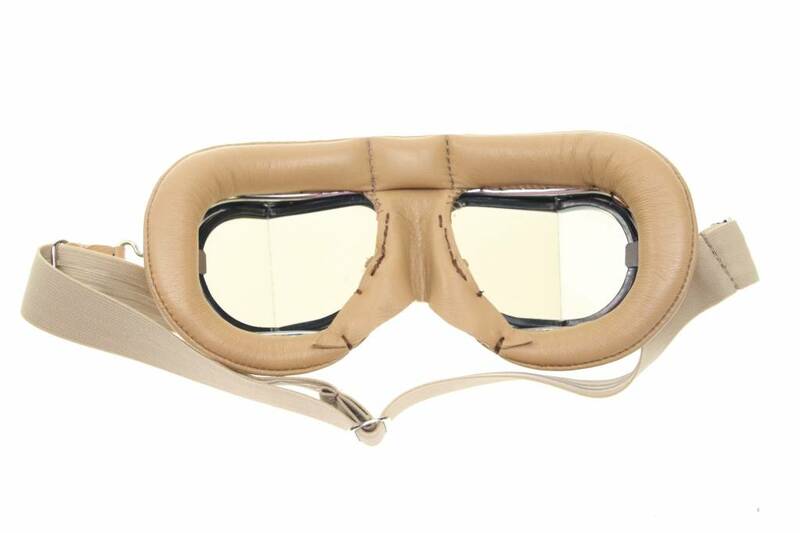 Real, light brown leather facemask, hand stitched over soft foam for extra comfort. Scratch resistant ánd resistant against shatters. 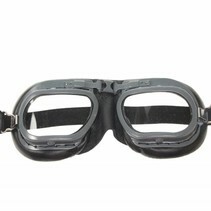 Smoke glasses and 99,9% UV resistant.